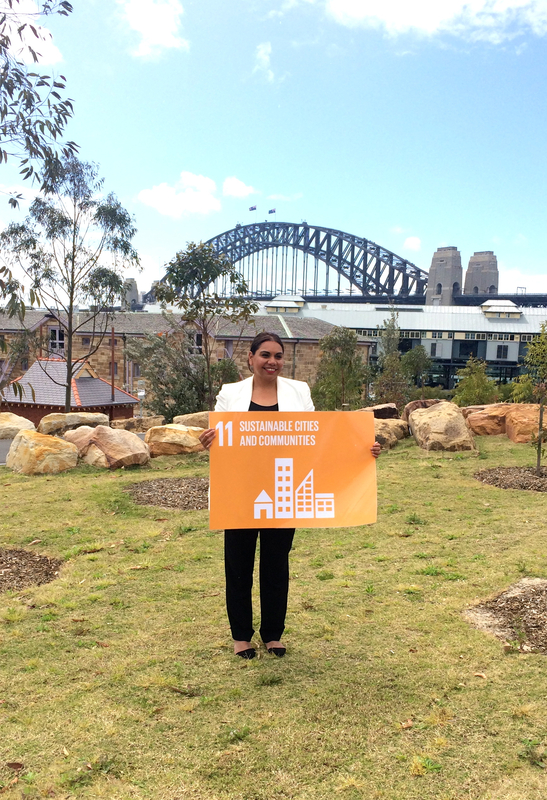 Deborah Mailman joined the global movement to change the world by raising a Hero Flag in support of the Global Goals for Sustainable Development at Barangaroo Reserve against a backdrop of the iconic Sydney Harbour Bridge. Representing Australia, Deborah joined royalty, dignitaries, and prominent citizens from across the globe in raising a flag for Global Goal No. 11 ‘Sustainable Cities and Communities’. The Crown Princess Mary of Denmark raised the first flag for Global Goal No. 5 ‘Gender Equality’ on 1 September in front of the Ministry for Foreign Affairs in Copenhagen. The remaining flags, each representing a Global Goal, will be raised in some of the most remote communities and iconic places on the planet, including the Himalayas, under the sea, and at the North Pole. Footage captured from this event will be beamed around the world as part of a 1-hour special broadcast that will air in over 40 countries. The broadcast special will feature key moments from events taking place around the globe in support of the Global Goals. For more information about The Global Goals see their website.